Over the next few months (?) on these pages, you will see the planning and installation of our residence pipe organ. The goal will be an instrument with a three manual Moller theatre organ console and 19 ranks of pipes. 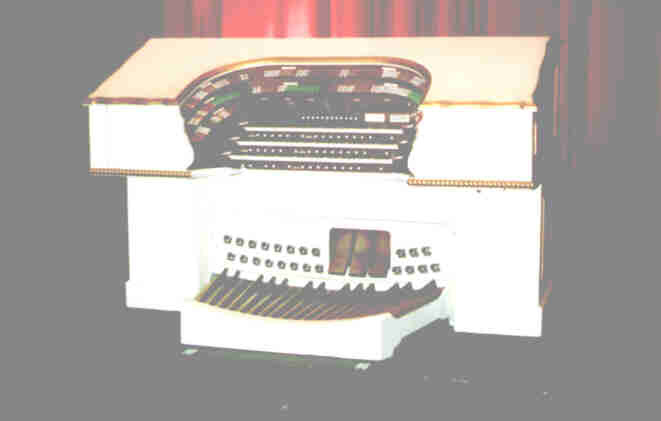 The pipes for the Theatre organ are from Moller Opus 3319, originally installed in the Rialto Theatre, Lewiston PA.
Those of you who are returning to the site will probably notice that all references to the classical organ are gone. I had a sudden fit of "practicality" and realized that installing 19 ranks in a house is crazy enough, 71 ranks probably would have gotten me commited. This page created by Kurt Schlieter. Please email me with questions, comments, or suggestions about the page or the project.